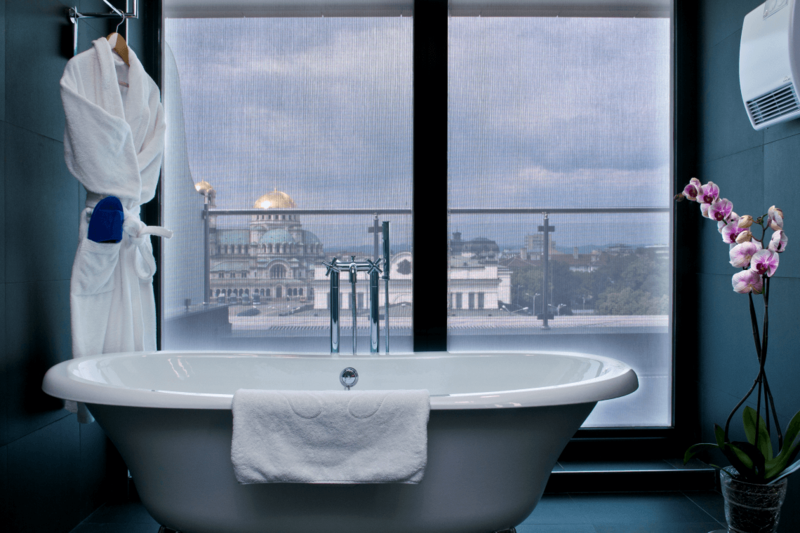 The hotel based in top center of Sofia provides wonderful view to Saint Alexander Nevsky Cathedral through its rooms. 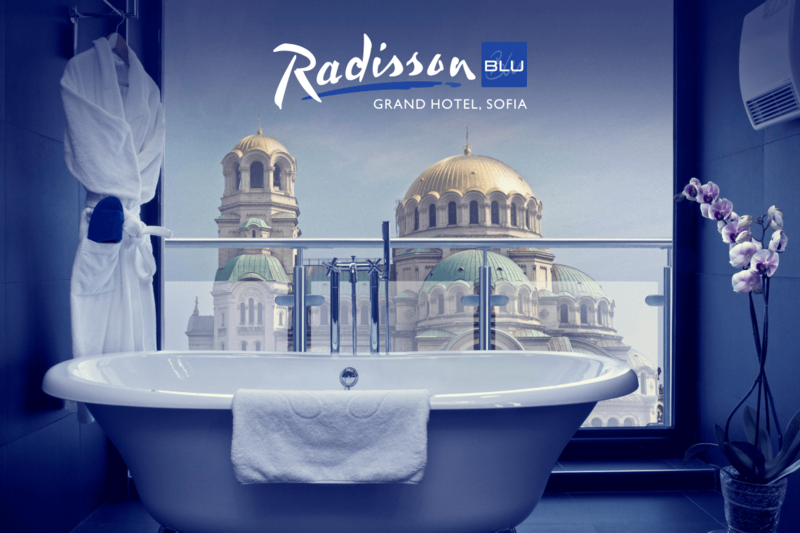 It is one of the largest Eastern Orthodox cathedrals in the world, as well as one of Sofia’s symbols and primary tourist attractions. Showing that feature with real photo shoot is very hard and I was approached to express it somehow as visual message. It is not a deception because the real view exists. I just drawn the Cathedral near-by in order to make it apparent on billboards which people see for a second or less.